The mount part is made of high quality hardened PC plastic, injection process. The strap is adjustable to fit for different sizes of helmet. 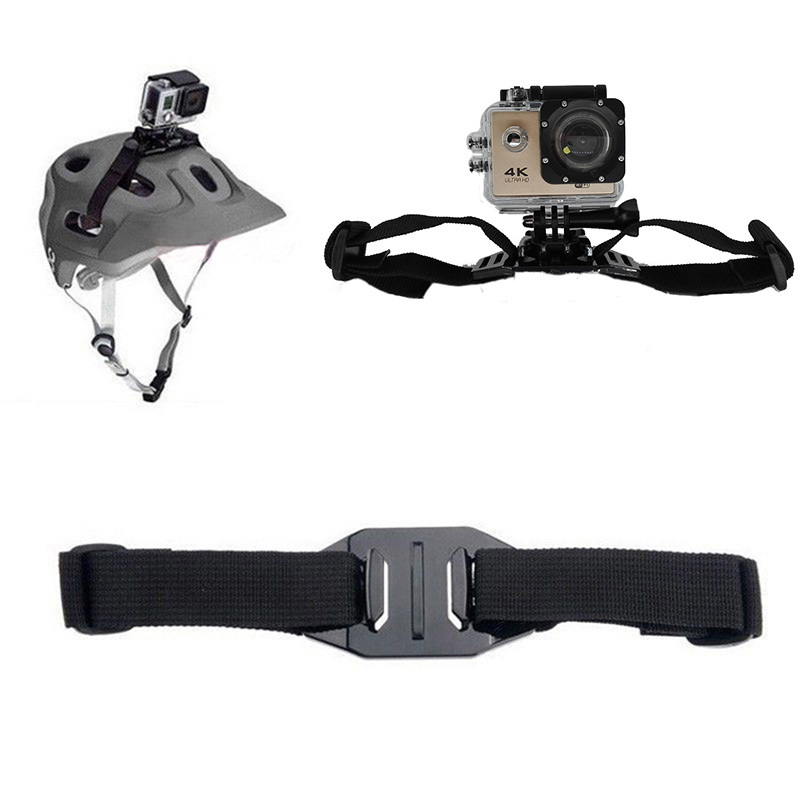 Both PC part mount and Nylon elastic strap have better performance in all kinds of climate and sports. Only the wrist mount is included. The camera or the housing shown in the images are not included, they are only for presentation purpose.